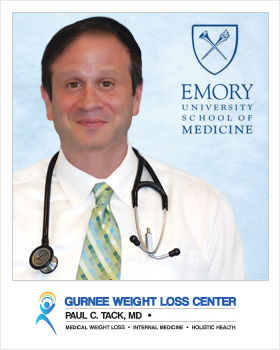 Your Weight Loss Doctor – Paul C. Tack, MD. Your Physician – Paul C. Tack, MD. Dr. Tack has been practicing medicine for over 17 years. He graduated from The Emory University School of Medicine in May of 1995 with a residency at Rush University Medical Center and fellowship training at Northwestern University in Chicago, Illinois. As an internal medicine physician and bariatrician, Dr. 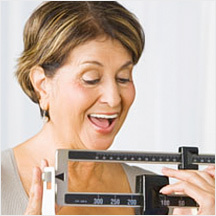 Tack has treated hundreds of patients for weight related problems such as diabetes, heart disease, high cholesterol, hypertension, and arthritis. Dr. Tack consistently reminds himself that being a good doctor is not simply a matter of maintaining technical competence. Dr. Tack also puts a strong emphasis on the humanistic qualities that his Medical Weight Loss and Internal Medicine patients most want and need in their physician: kindness, personal warmth and compassion. This Patient-Doctor experience enables him to empathize with and understand his patients. As a result, Dr. 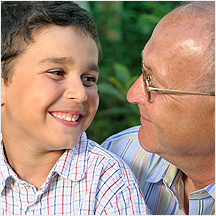 Tack offers personal, individualized attention to help put each patient at ease while offering them the most comprehensive and compassionate care available. He has observed firsthand that with two-thirds of Americans either over-weight or obese, the current model of simply treating the health consequences of obesity is not working. Dr. Tack feels very strongly that obesity is a chronic disease. In fact, for many people, the symptoms of this chronic disease are treated while the disease itself is never properly addressed. 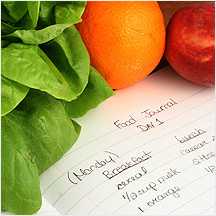 At The Gurnee Weight Loss Center, Dr. Tack prides himself on providing quality, compassionate care while using the newest treatments available to promote optimal health and well-being for his patients. Innovative Internal Medicine care and a patient-driven approach have helped establish Dr. Tack as a leader in internal medicine. By emphasizing preventive medicine, risk reduction and overall wellness, Dr. Paul C. Tack ensures the best possible outcomes for his patients. Request an Appointment to see Dr. Paul C. Tack Today! To schedule an appointment with Dr. 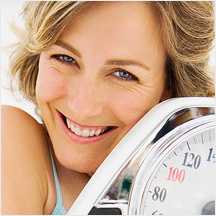 Tack for Medical Weight Loss or Internal Medicine…please contact our office today at 847.625.8300 or request an appointment here. We look forward to seeing you! Your Doctor – Paul C. Tack, MD. We are located in Gurnee, Illinois, just behind Six Flags Great America. From the 294, go East on Grand Ave. (Route 132) to the 3rd stoplight, turn right on Riverside Drive. Our office is located on the East side of the street in the Windsor Court Office Park. Call for information about our new Skokie office.